How would New York look if no one picked up the trash for nine days? 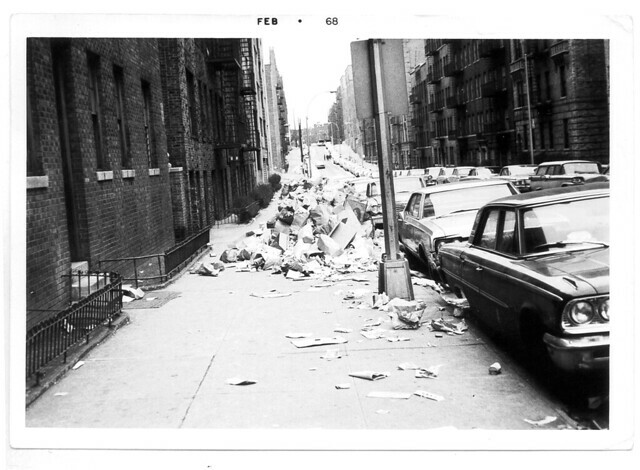 New Yorker found the answer to that grisly question during a dramatic 1968 strike by the City’s sanitation workers. The nastiest strike in City history wasn’t really supposed to happen. The Uniform Sanitationmen’s Association (“USA”) had been working for six months without a contract, which is pretty common these days – when Bloomberg left office in 2013, every single municipal union was working without a contract. USA Leader John DeLury threatened a strike, but content that his threat had leveraged Mayor John Lindsay to the max, happily reported a $400 annual wage increase (about 5%), better pensions and double-pay for Sunday. (In 2014 dollars, that salary would be $50-55k.) Riled up and frustrated, workers rejected the deal, demanded a $600 raise, and struck on February 2. The strike was illegal under the Taylor Law (passed the previous year), and DeLury was sent to jail. Trash accumulates quickly. On February 5, the New York Times lamented that the City looked like “a vast slum as mounds of refuse grow higher and strong winds whirl the filth through the streets.” By that point there were about 30,000 tons of trash on the streets, a number that would grow to 100,000 tons. 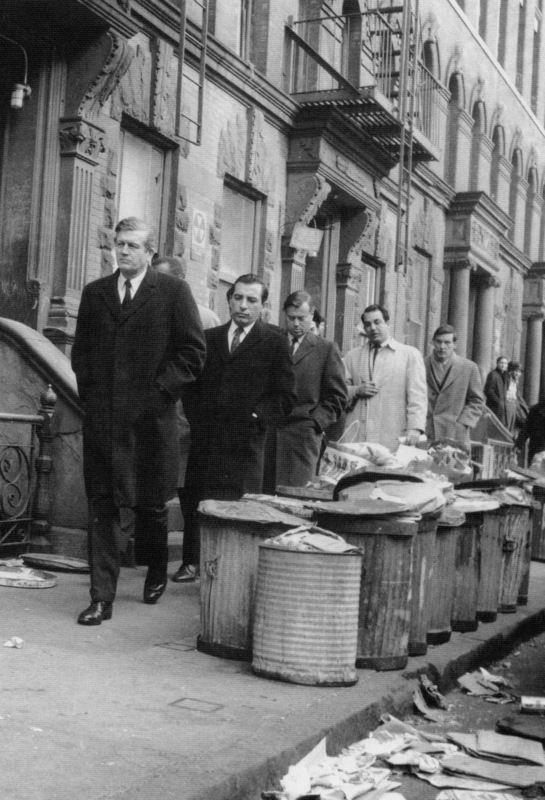 Vincent Cannato wrote of the Lower East Side, “Garbage was piled chest-high. 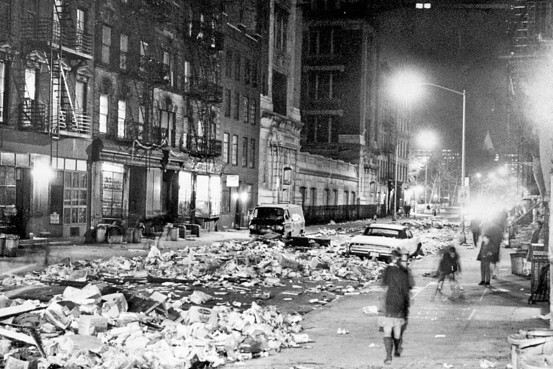 Egg shells, coffee grounds, milk cartons, orange rinds, and empty beer cans littered the sidewalk.” Bowery Boogie tracked down a great newsreel from 1968 interviewing New Yorkers about the strike. Taking charge, Lindsay threatened to call in the National Guard and order truckers to remove trash. Unfortunately these ideas were rebuffed by Governor Nelson Rockefeller and local unions, respectively, neither of whom were big Lindsay fans. Behind the scenes, Rockefeller schemed up a way for the state to take over the sanitation department, or rather his counsel did- he was hospitalized for exhaustion after staying up all weekend to write the legislation. Lawyers have it rough. By February 10, Rockefeller had had enough, using the premise of a health emergency to seize state control of the Sanitation Department. He then offered the workers $425 and future arbitration, to which they agreed. The public was outraged that Rockefeller had caved, but Lindsay and the USA earned the lion’s share of the blame for letting the situation escalate. According to the Daily News, the garbage strike may have been the last straw for a public that already put up with taxi, tugboat, public school, transit and even grave-digger strikes. Many people know that Martin Luther King’s final campaign was in Memphis, where he gave his “I’ve Been to the Mountaintop” speech in support of striking sanitation workers. 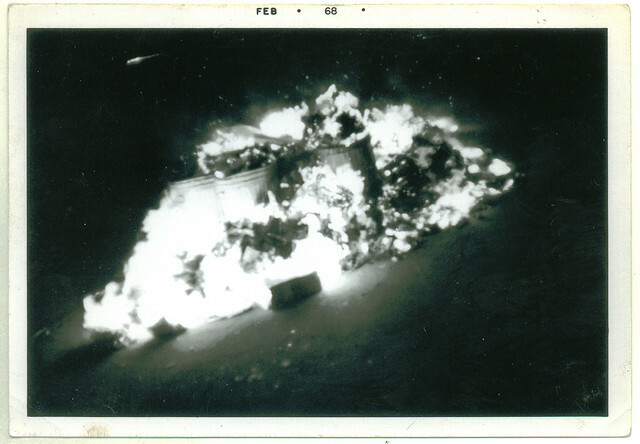 Less well known is that Memphis sanitation workers, inspired by their counterparts in New York, began their strike two days after the New York strike ended, on February 12, 1968. When the USA renegotiated their contract with the City in 2007, they won recognition of MLK Day as a holiday in recognition of Dr. King’s special relationship with sanitation workers. Ironically, when I was mapping out what to post about for today in New York City history, one of the contenders was re-capping a New York Times Sunday Magazine article from 1911 called “The 1911 Way to Clean the Streets of a Big Town,” which called on New York City to get with the program and start using large vehicles to flood the streets with water.